to himself. This point of view could never completely prevail in the Stoic school, hut we find traces of it in the later Stoics, especially in Seneca and Marcus Aurelius. In these writers we find the beginnings of a tendency which was to find expression in subsequent philosophy and, in particular, in the philosophy of the Neo-Platonists—a tendency to substitute self-despair for self-confidence, and through self-despair to rise to the religious spirit that loses to find itself in God. This change, which seemed to lead to an attitude of spirit the very reverse of that of the Stoics, was yet, as I have said,* the natural development of Stoicism. But the transition was mediated by the attack upon the doctrines of the Stoics, and indeed-upon all positive philosophical doctrines, which was made by that school of philosophers called, par excellence, the Sceptics. The Sceptic endeavours to show that every positive doctrine as to the nature of things is embarrassed by the Icroo-Qeveia twv \oyow, by the fact that there is an equal weight of reason for and against it. Reason, to put the matter in a more modern way, is essentially antinomical, and its exercise on any question invariably leads to the rise of two opposite dogmatisms, each of which is strong in its attack upon the other, but weak to defend itself. The only safe course, therefore, is to renounce all dogmas whatsoever, and to fall back upon the bare subjective consciousness as all-sufficient for itself. At first the position of the Sceptic might seem to be a very strong one, and, indeed, some have thought it to be impregnable. But it really shows itself to be the weakest of all dogmatisms whenever it turns from the task of attacking others to that of defending itself. This may be seen whether we look at its positive result, or at the basis of certitude on which it is supposed to rest. From the former point of view, it is obvious that the Sceptic does not get rid of the objective consciousness by asserting that it is only a consciousness of shows or appearances. These shows or appearances, on the contrary, supply for him as for others the whole content and interest of life. The Sceptic, indeed, makes that content almost worthless, and weakens the interest in it by treating it as a mere appearance ; but he has nothing else to put in its place. He has to play the game of life like others, though he is convinced that it is an illusory game, and, that the prizes in it are worth nothing; and therefore he is not in earnest in playing it. But a life that is occupied with nothing hut vanity must itself be vain. We cannot say that such a consciousness is at rest in itself. We must rather say that it is given over to endless unrest, in so far as it is continually denying the reality and value of the objects, with which nevertheless it has continually to occupy itself. But it will be contended that the soul of the Sceptic finds its rest just in the assertion of itself which accompanies its negation of the reality of everything else; and that in this point of view the Sceptics anticipate Descartes, who sought for the basis of all truth in the Cogito ergo sum of an immediate self-consciousness—a consciousness which, a^ ^ t50iutends, is untouched by any of the doubts which n^iy be cast on other things. We have, however, to consider, what Descartes and the Sceptics equally forget, that this consciousness of self is realised only with, and in relation to, the consciousness of the not-self to which it is opposed, and that, if we could altogether cancel tile latter, the former would disappear with it. Hence it is impossible without contradiction to fall back on the consciousness of self to the exclusion of everything else. This objection was brought home to the Sceptics by an argument based upon their own doctrine, which they vainly endeavoured to repel. It was pointed out that, in asserting the incomprehensibility of things and the impossibility of knowledge, they were setting up a dogma which could be turned against itself as easily as against other dogmas. They were, as Bacon said, making a dogma of the unknowableness of things; and this dogma was, indeed, essential to that which they conceived as the practical end of philosophy, the attainment of peace in themselves. If, therefore, their doctrine were true, the practical end was impossible of attainment. This attack the Sceptics could meet only by the strange assertion that the doctrine of the impossibility of attaining truth included itself, and that, as they express it, it was like a medicine which purged itself out as well as the disease. But this is an obvious subterfuge; for a negation that includes itself contradicts itself; and, indeed, it is impossible to realise it at all, except by a progressus in infinitum in which each step is .the negation of the previous step. We deny, and deny our denial, and deny that again, because we cannot separate any denial from a positive assertion which, ex hypothesi, must in its turn be got rid of. This process of thought, therefore, is a continual attempt to leap off one's own shadow, or, in other words, to deny without any affirmative basis for our denial. The philosophy of the Sceptics, then, may be said, in a sense which they did not intend, to purge itself out along with the disease; it is the reductio ad absurdum of itself. It is the attempt to get beyond the intelligible world by an act of the intelligence itself. But, as I have said elsewhere,1 any attack upon the possibility of knowledge is foiled by the impossibility of finding a ground on which to fix its batteries: for if we try to fix them on anything within the intelligible world, we assert the knowableness of that world in the very act of denying it, and there is no place without the intelligible world where they can be fixed. We can direct our doubts or our denials against any particular assertion or doctrine, only in so far as we Gan fall back upon some more general consciousness of the real, which we assume as true, and with which we show it to be inconsistent; but an attempt to attack the very idea of truth and reality only leads to a reassertion of it in another form. On the. other hand, to assert that the subject of knowledge, is complete in itself without the object, is to rend the seamless garment of truth by setting up one elment of consciousness against the whole to which it essentially: belongs. But the only result that can come of such an attempt, is to show that, apart from the whole, every such element becomes meaningless and self-contradictory. Now, in this result we see at once what is the mistake of a purely subjective philosophy and how it can be corrected. For what it forces us to realise is that the consciousness of the subject, like that of the object, presupposes a unity in which both are contained as elements. Or, to put the same thought in a more direct way, the consciousness of God, as the unity in all things and beyond all things, is the presupposition of both, and neither has any reality apart from it. Thus the logical result of Scepticism is to reveal the ultimate basis of all truth. This is not, of course, seen by the Sceptics themselves; but it underlies the general movement of thought by which the era of subjective and individualistic philosophy was brought to an end and the era of religious philosophy initiated. In this we have a remarkable illustration of the natural course of the development of thought. Philosophy in Greece, as elsewhere, begins with the objective, the not-self ; then it turns from the outward world to the self ; finally, it ends with the effort to grasp the principle of unity which is beyond this and all other oppositions. Unfortunately in Greece the movement from one idea to the other was mainly by a process of abstraction, in which thought as it advanced altogether set aside its previous points of view. The result, therefore, was a theology which vindicates the reality of the Divine Being at the expense of all his creatures, and represents the Absolute and Infinite as excluding rather than as including all that is relative and finite. The failure of Stoicism to work out successfully its idea that there is an immanent principle of unity under all the differences of things and of our knowledge of them, leads subsequent philosophy to conceive God as essentially transcendent. But in this way it becomes impossible to suppose that there is any rational connexion between him and the world, or any rational apprehension of him by the human mind- If under such a view there is to be any relation established between God and man, the activity that produces it must be entirely on God's side, and on man's side there can be only passivity. And if any human consciousness of God remains possible, it must be in an ecstatic condition in which man is rapt beyond himself so that all self-consciousness is absorbed and lost. Hence we have an apparently paradoxical result, the rise of a philosophy which might from one point of view be called Agnosticism, and which yet does not mean disbelief or doubt, but rather the pro-foundest certitude of the reality of the Absolute Being, whom man's thought cannot measure nor his words express. Now in this aspect of it also there is a parallel movement of Jewish with Greek thought. Even within the books of the Old Testament, we can trace how the universalising process to which the religion of Israel was subjected, produced an increasing unwillingness to attribute the definite characteristics of human individuality to God, or even to admit his direct agency in relation to men. Such agency is rather referred to some special power or attribute of God, to his Wisdom or his Word, or to some angel who has a mission from him to man. Moreover, though there is no thought of denying God's omnipotence, yet anything that seems to have the nature of evil is rather attributed, directly at least, to some evil spirit. And we know that before the Christian era-this tendency had hardened into a doctrine of demoniac influence, and this world was even supposed to be subjected to the rule of Satan, up to the time when the Messiah should come to dethrone him. The loyal allegiance of the race of Israel to the God of Abraham, Isaac, and Jacob, whose worship was bound up with the national life, was changed into an awful reverence for a Being who, just because he was conceived as the God of the whole universe, seemed to be too high to be comprehended or even approached by the reason of man. The idea that "no one could see God and live," the idea that man cannot measure or understand God, the idea of the absolute passivity and powerlessness of man in relation to God,—these ideas take complete possession of the religious mind. God is so far from his worshippers that he cannot be apprehended by them, yet so near that no room is left for any consciousness of freedom, or for the special interests of politics or science, of literature or art. A form of piety has arisen which begins and ends in religion, and which can hardly be said to supply any principle to idealise and elevate the secular life of man. But along with this tendency to reduce the idea of God to an abstraction, till it becomes hardly possible to say anything of him except negatively, we have the appearance, both in Jewish and in Gentile literature, of another idea to which I have already alluded—the idea of mediation. The extremes which cannot be brought together directly, have to be linked with each other by means of intermediate terms. This tendency shows itself in Greek philosophy mainly in the adoption of the Stoic idea of the Logos, which, however, is now treated not as a name or attribute of the Supreme Being, but as the equivalent of the world-soul of Plato, that is, as the organ of the manifestation of the Supreme Being in the finite universe. Among the Jews, again, it shows itself in the tendency which I have already mentioned, to personify some attribute of God, especially his wisdom, or to bring in the ministry of angels between him and his creatures. If God be secluded in his heaven where no one can see him, yet a ladder is let down to the mrth, by which divine influences may descend upon the worshipper, and by which he may be drawn up towards the source of his, and of all existence. Yet, after all, the final contact of human and divine is regarded as inexplicable, except as a trance or ecstasy in which the finite drops away from man and, in some incomprehensible way, he loses and finds himself again in God. 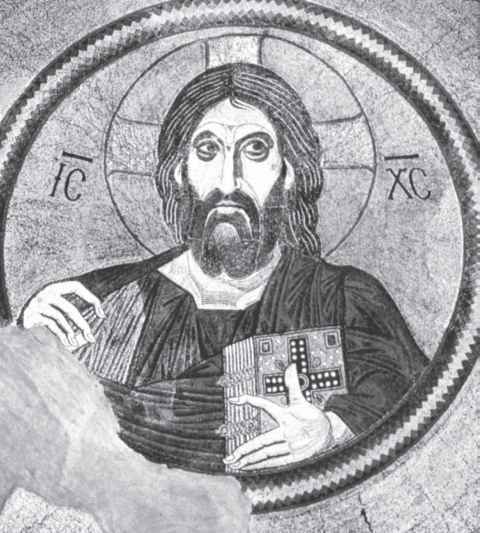 We have now seen what were the general features of the movement of thought towards the end of the pre-Christian era. We should need, of course, to introduce many special qualifications, if we attempted to apply the description to any particular writer. Still, enough has been done to show that, at this epoch, Jew and Gentile were tending in the same direction. Even apart from any direct influence upon each other, their thoughts were prepared to blend; and, when they did blend, it was natural that the common tendencies should be strengthened. Yet I think it essential to a comprehension of the facts that we should clearly realise that it was not the case, as is sometimes represented, that Western was overpowered by Eastern thought. Each found something in the other to help its progress in the direction in which it was naturally developing, but we cannot say that either was warped from its natural tendencies by a foreign influence. Hence each may be explained from its own history. Thus the tendency to separate God from man, and to thrust in mediators between them, and the tendency to take an almost pessimistic view of the world in its actual state, were the natural consequences of the universalising process which had begun to transform religion as early as the first prophets. And, on the other hand, when we come to Plotinus, who is the highest product of Neo-Platonism, we shall find him referring back all his doctrines to the previous philosophy of Greece; and, what is more, we shall find that he can point to sources in Plato and Aristotle, or even earlier philosophers, from which every element in it could be derived. And, though we* cannot say that he simply reproduces his authorities, we are obliged to recognise that his doctrines are legitimate and even necessary developments of theirs.